Celebration Day is here. Available everywhere today. Here’s a shot of Jimmy Page with the other participants on last night's edition of Later with Jools Holland @BBCLater, including @Foals, @BandOfHorses, @elliegoulding, Larry Graham, Rodrigues and Louise Sobral. The show will air on BBC2 on Friday, Nov. 16th at 11:30. 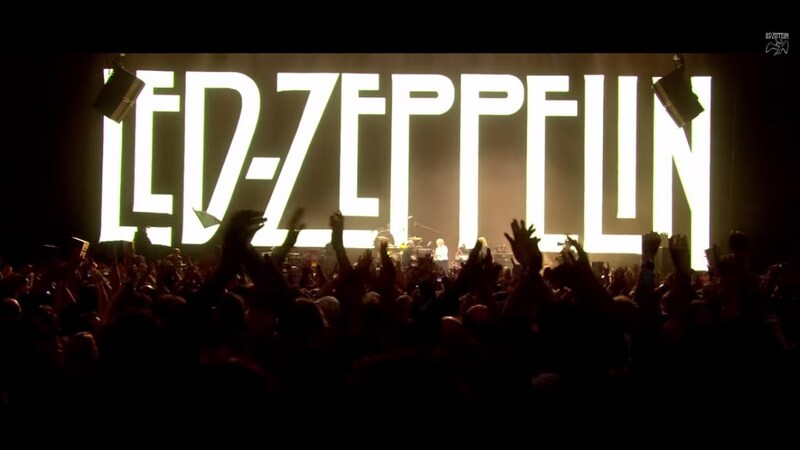 Exclusive: click here to watch the full length Led Zeppelin "Celebration Day" TV spot. Celebration Day merchandise now available. We have been made aware that at some screenings of “Celebration Day”, there have been complaints that the sound is not loud enough. Omniverse, the film’s distributors have been working with local cinema chains to ensure that this issue is addressed urgently. However, it is a good idea to check with the cinema before the screening that they will be playing it loud! Celebration Day - Fan Photos! If you are going to see Celebration Day today / tomorrow, post photos of yourselves at the cinema on the official Led Zeppelin Facebook or on Twitter (#ledzep @ledzeppelin). Jimmy Page Promoting Celebration Day in Japan. John Paul Jones in Berlin, premiere of Celebration Day. Hammersmith Apollo, preparing for tonight. Jimmy Page, Robert Plant and John Paul Jones hold a press conference in London, Sept. 21, 2012, to launch the "Celebration Day" concert film of the 2007 O2 reunion show.